Studio apartment with private entrance within a Harlem townhouse. The neighborhood is an architectural delight, close to historical sites, museums, music venues, eateries and transportation. Our apartment is furnished with a double bed and a double futon couch. A full shower with amenities and a complete kitchen with refrigerator, stove, microwave, toaster and coffee pot will ensure a pleasant stay. Street parking. A few garage parking options are nearby. Actually we have a spin bike and some free weights in the unit. My daughter and I chose this particular apartment for our NYC stay because the building "looked like something from a movie", and I'm so glad we did. The apartment itself was very cute and comfortable, and extremely well-appointed. The location was fun -- we enjoyed shopping on 125th streets after she finished her classes -- and close enough to groceries and public transport. What really made it extra-special, though, was the hosts. Andrea knew that we were city novices, and took us in hand to make sure we could make our way around the metro and bus system. She and Bill also were very helpful in giving us information about places to eat, things to do, etc. They were attentive and helpful, without being imposing, which is a hard line to straddle. I compared notes with several of my daughter's classmates' mothers, and we definitely found the best home away from home! Hermoso departamento en Harlem. Lindo, cómodo y muy acogedor desde su diseño hasta su ubicación. Zona de negocios y cerca del metro. Muy recomendable. No duden en rentarlo porque harán de su estancia en Nueva York algo único. Gracias Bill y Andrea por la atención que nos brindaron, excelentes anfitriones. Volvería siempre a rentar este apartamento. Overall, I had an amazing experience at the Harlem apartment. The apartment was nice, well-kept and cozy, and I felt welcomed as soon as I arrived. Mrs. Andrea Hufstader left step-by-step instructions regarding how to enter the apt. which made it easy considering the rainy weather. She also left details regarding local necessities, such as restaurants and grocery stores. I thought that was extremely helpful because I didn't have to worry about good places to eat, and where to buy food. I also appreciated the birthday present and the variety of snacks left for me. I highly recommend this apartment to anyone who plans to visit New York. I want to thank Mrs. Hufstader for the warm hospitality, and the time she took to make this such a wonderful experience. Thank you so much for such a nice review. I'm glad we were helpful! The studio is exceptionally clean, modern, updated, nicely decorated and well-stocked. 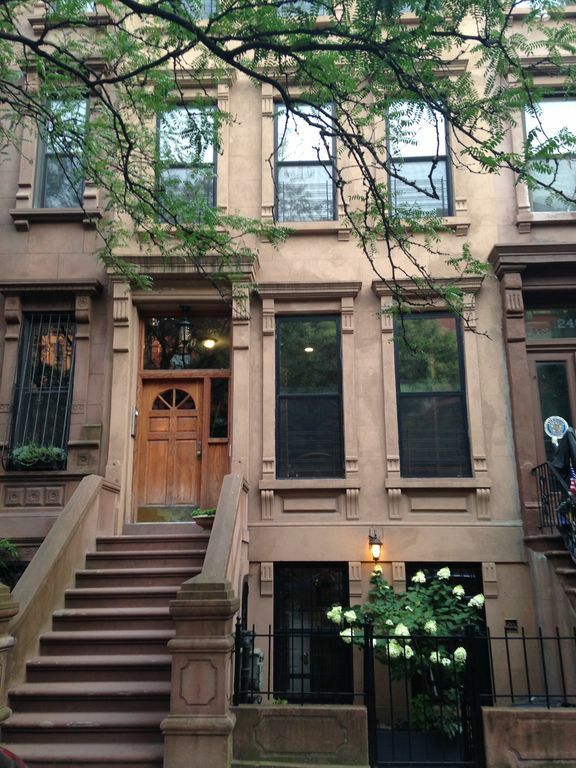 The location is reasonably quiet, for NYC, and very convenient to bus and subway. I had a very comfortable stay, Bill and Andrea were very hospitable. Great find for a Manhattan stay! Our stay was great! The apartment is a small space but it has everything you could need; including a small kitchen, and washer/dryer. There's room to sleep four, but it might be a tight fit for four adults in that space. Traveling as a pair though, or a family, it would be perfect. Lots of bedding and pillows to go around too. Grocery store right down the street for anything you need. Quick walk to subway stations that can get you anywhere in town you need to go. Thanks Scott! I'm glad you enjoyed your stay. We shared a girls weekend for my daughters graduation. The apartment was nice and clean and Andrea was very friendly and helpful. She was always passing on information to us and guiding us in the direction we needed to go. She had the basic necessitates we needed for the kitchen and there was a nice grocery market at the end of our block. The subway was just a few blocks away and an easy walk. We would defiantly stay here on our next trip.